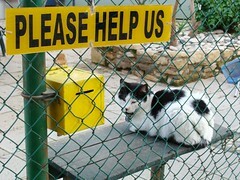 Have you ever gone to an animal rescue where the cats are treated royally? Me neither. Most shelters have stacks of cat carriers as well as a playroom with cat beds and cat toys. The playrooms are crowded with cats, some of which don’t particularly like being with other cats. I thought this was pretty much the norm until I read about the Washington Animal Rescue League.